and i like the couplings you use. Scan itslef seems a bit rough, and the moon is a bit too textured. ther than that It's simple. Love the clouds. Yepyep, studies should come first! But I hope you haven't been overwork ... Nice to see a new wallpaper from you. I think there was too much enlargment in this one, some parts look jagged. Overall, I like the scene, looks very peaceful. Cool loving and really nice serene background. nice simple wall! me love the bg!! love the sky and the moons!! and the tree is nice too!+fav! 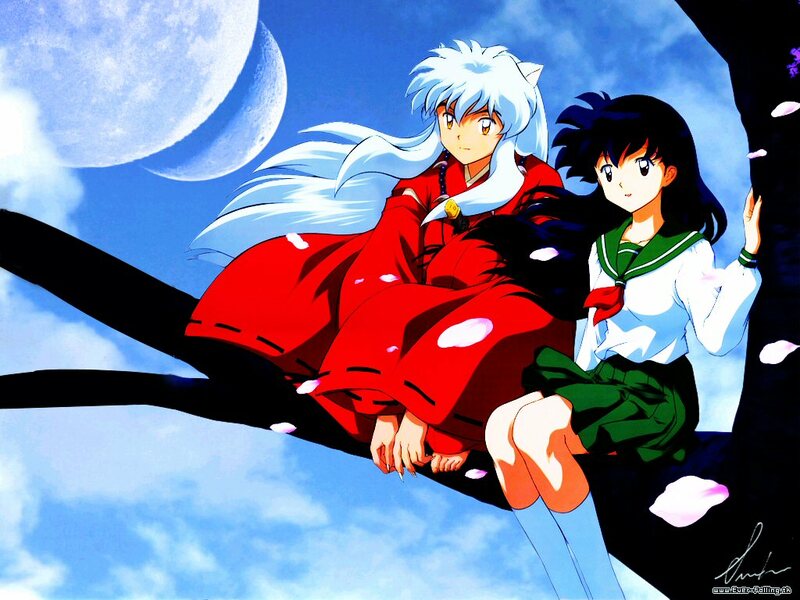 Hey that is a nice wall you did a great job on it.^__^ I think Inuyasha and Kagome make a cute cupple but I don't know how the series ends yet. It hasn't ended here^__^. It's a nice wall but where do dthe sakura petals come from cause the tree don't seem to have any flowers. the scan could use a clean up too. Nice wall of Inuyasha and Kagome, great background, Good work Sukie-san. Wowies! Really cute wallpaper! The scene is really perfect for them! The moons are really nicely done and the clouds too! awesome work! Keep it up! great wall of Inuyasha and Kogame! Oh my god you are good at this aren'ts you. Nice wall of Inuyasha & Kagome, great job on the background.